Free Shipping On Any Order! Get Your Book Now! An enthralling legal thriller that takes the reader into the twisting labyrinth of the criminal justice system, the deep recesses of a woman’s heart and a maelstrom of dark desire, violence and danger. Judge Kate Wood is a young, bright and brave woman whose judicial career takes second place to her hunt for the people that savagely murdered her sister. There appears to be no safe place for Kate as she wanders through the dark side of her sister’s life. As the mystery unfolds, she finds herself a victim. I just finished Express Malice. I found it was captivating and could not put it down. Myself and my wife have a signed copy thanks to our friend MAC. Great job fun read. Can’t want to read you next Kate novel. We are enjoying our week at the beach and tell you that I am SO enjoying your book!!!! It is so easy to read and keeps me wanting more and more!! I can’t put it down!! LOVE IT!! What a great read! With well developed characters, Hill takes us on a fast-paced adventure into the criminal world through the eyes of Judge Kate Wood. When Kate’s sister and her shady husband are murdered, she suddenly becomes ward of her teen-aged nephew, Jeremy, who deals with his own stunned grief and awkwardness. With the help of a special police officer and a handicapped and brilliant neighbor, Kate, and a reluctant Jeremy, must research clues and risk peril to find the killer(s). This book will hook you from the beginning and surprise you at the end. Highly recommended! Thank you again for speaking at our book club. I enjoyed Express Malice so much that I bought a copy for my daughter. Wishing you all the best as you move and I hope that, in the not too far future, we will be hearing of a new book! 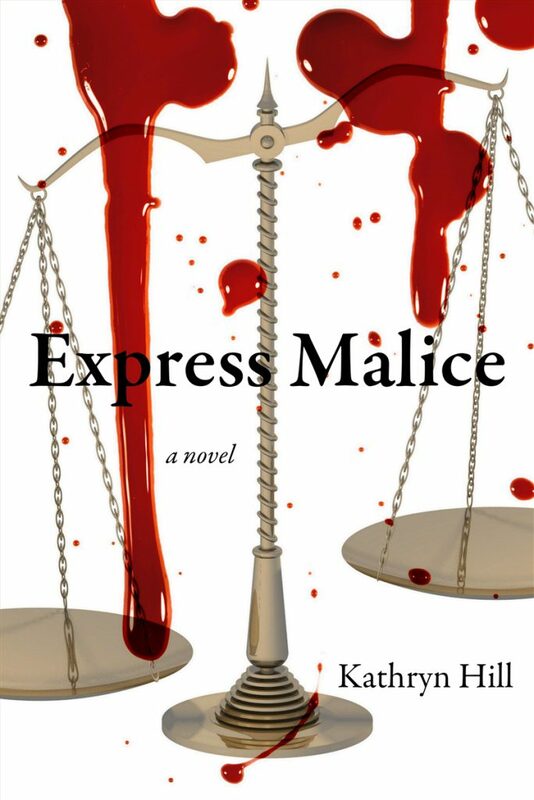 Have You Read Express Malice? Please Leave a Book Review! Copyright ©2019, Event Management Solutions. All Rights Reserved.